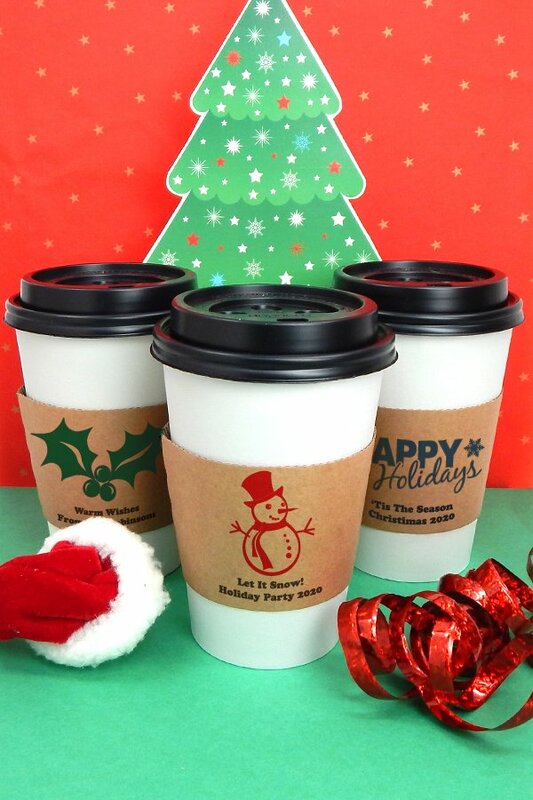 Turn what is normally a bland necessity into a decorative detail this holiday season with these personalized insulated coffee cup sleeves for Christmas. When your guests are sipping on a cup of hot chocolate or coffee, they’ll love the festive touch added to what is normally a simple, protective sleeve. 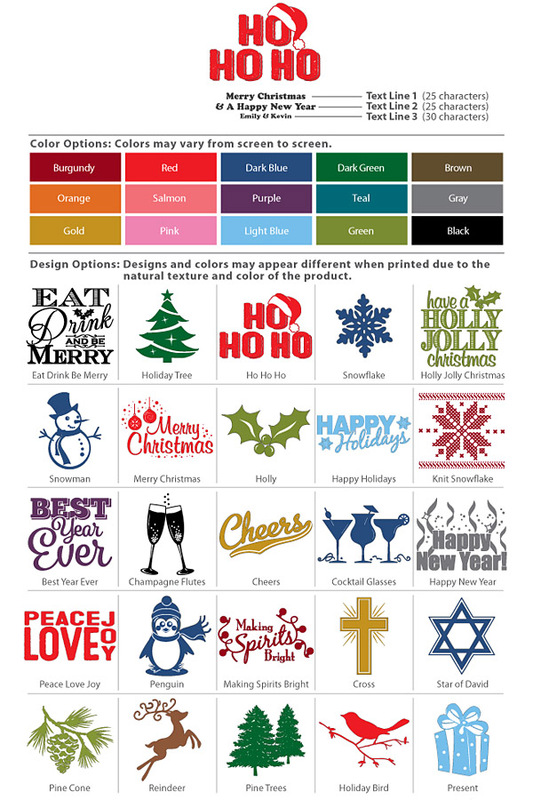 Personalize with a Christmas design and up to two lines of custom text. These eco-friendly insulated cup sleeves are recyclable and made from renewable resources. Each cup sleeve is printed using a proprietary eco-friendly printing system. The cup sleeves will fit around a variety of 12 to 20 oz. paper and insulated cups. Fits around a variety of 12 to 20 oz. paper and insulated cups. I had expected the design to be much larger on the sleeve. It also only fits 12 and 16 oz cups not 20oz.